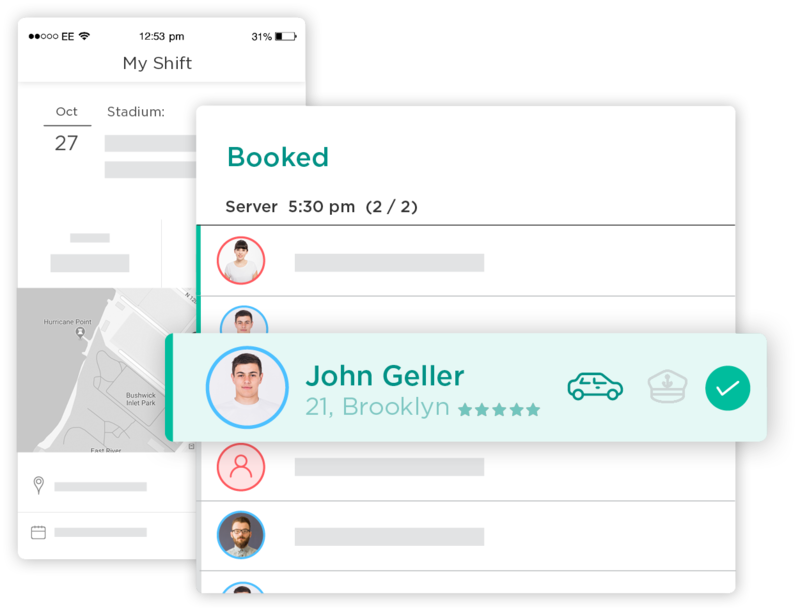 Is scheduling your event staff too time-consuming? Not anymore! Ubeya takes care of the whole process for you. After you have a good overview of the available staff for the event and its shifts, all that is left for you to do is choose who you want to schedule. Your staff will receive a confirmation that they were booked for the event with all its details. 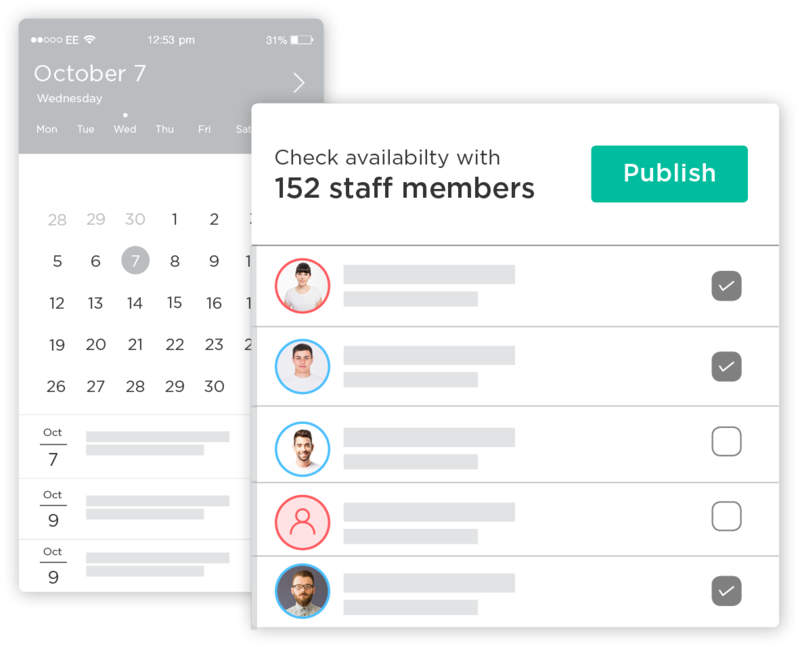 Create event shifts and check the availability of the relevant staff directly through your mobile device. The app presents a live view of who applied and is available to work. You can also have the staff set their daily availability ahead of time. 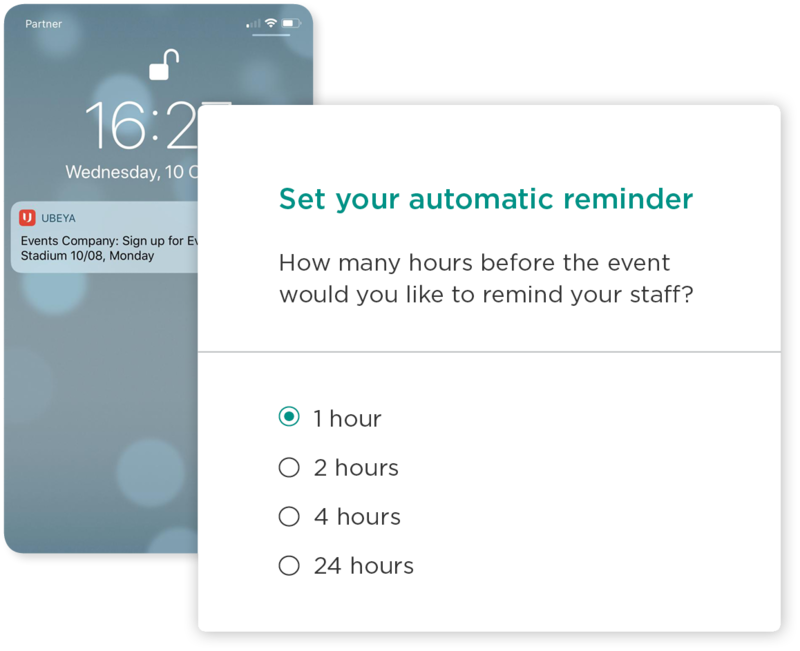 Your staff will receive an automatic notification through the app requesting their confirmation of the event details such as location, time and attire. An automatic reminder will be sent to your staff to make sure they don't forget the upcoming event. The app displays an overview of your events completion rate all the time so that you are always on top of things and know where to best focus your attention. 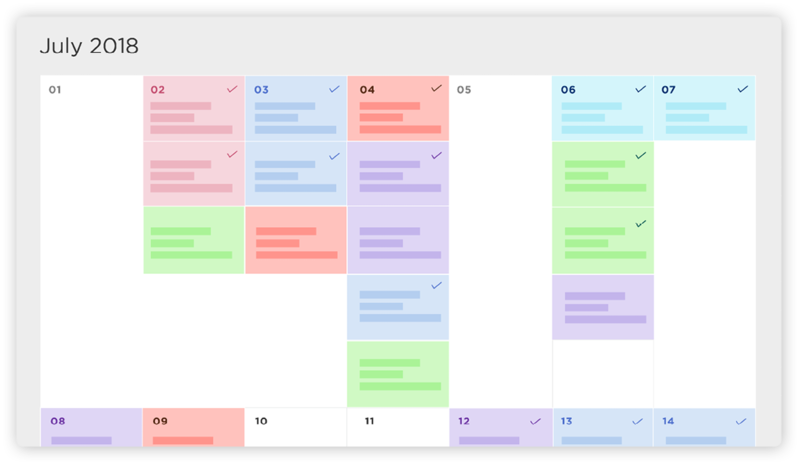 Staff scheduling has never been this easy!